My online friend, Asrai Devin, wrote a post last week about a contest running on Men with Pens: The Best Online Writing Contest. Two people will win a place as a student in the May edition of the Damn Fine Words writing course. (Retail value $1,599.) We’re taking a risk. How about you? All you have to do to win is to write a blog post about why writing is important to you and your business. Why becoming a better writer could literally change your life. How not feeling confident in your writing has affected you, and what it would mean to you to have that obstacle swept away. And of course, link to Damn Fine Words, and post a comment on Men with Pens. If you aren’t familiar with the Men with Pens website and blog, it offers web design and copywriting for businesses. James Chartrand is the pen name of the owner of the Men with Pens and the Damn Fine Words websites. Damn Fine Words is a 10-week training course for business owners. According to the website, it’s a combination business and writing course. Could I use that? Oh, my, yes. My husband and I own several small online businesses and neither of us has a lick of business training. But, oh my gosh, what a conundrum! Asrai wants to win that contest so badly. She’s a friend, so I want her to win. But, I hope she’ll understand, we’re both writers. I want to win it, too. So, I’m going to risk it and enter the contest hoping that both of us win. Why is writing important to me? Writing helped me find myself. I was lost in the wrong marriage, the wrong career, the wrong life. Ironically, my first husband (now ex-) took me to my first science fiction convention where I heard writers talk about writing. It stirred something in me. I took a chance and enrolled in a correspondence writing class. That began a quest for the words to express myself. I read every how-to-write book I could get my hands on. They recommended writing exercises: Express how you feel when you are angry, or frightened, or happy. So I wrote. I discovered a desire, a compulsion, to write fiction. Books had been my safe places. Through books , I had learned about different types of people and how right choices affected one verses wrong choices and the effects they had. These things helped me make choices. I wanted, no, I want my writing to touch people the way that the books I read touched me. At the first writers conference, I ever attended we were given an assignment to describe life without writing. I wrote: “I suppose I could survive without ever writing again, but I’d rather live than survive.” Now, many years later, that is still how I feel. If I’m not involved in a writing project, I’m just surviving. How has not being confident in my writing affected me and what would it mean to have that obstacle swept away? Confidence in my writing ebbs and flows. When I am not confident in my writing, I fight for every word written. I become a master at one-more-thing-to-do in order to avoid writing. That starts a downward spiral. Less confidence translates into wishy-washy words that don’t sell fiction or products. Words I’m embarrassed to show anyone. My production goes down even further. When I’m not writing, I get less confident in every other aspect of my life. A less confident me is less pleasant to be around, just ask my DH if you don’t believe me! To feel more confident in my writing would help me put wings on my words. I’d be more productive. And my words would work for us by selling more products. More sales equals more income. I’d be able to quit the day job and be an active, productive, full-time writer. 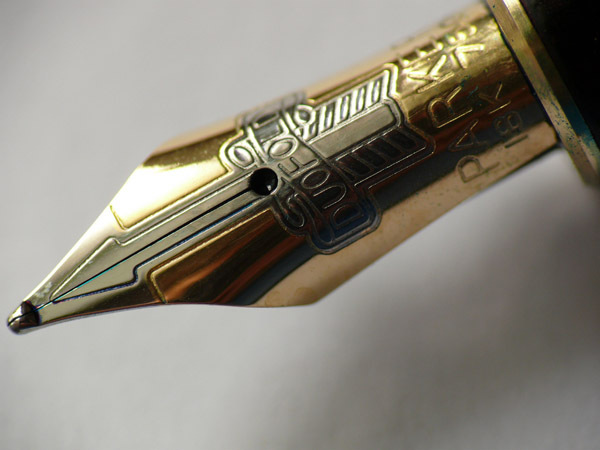 Why is writing important to my business? I want my fiction to be read, to be enjoyed. My business, though it’s part-time now, is to write fiction, to write copy that sells my fiction, and to help my husband write copy that sells his products for his online businesses. I’ve got to succeed at these businesses. They are our retirement plan. Our only retirement plan. And retirement age is knocking on my door. Would winning this contest change my life? You betcha! Learning more about business, copywriting, and blogging can only help. You see, I don’t want to retire from anything but the day job because I can’t stop writing. I want to LIVE. And now, you know of some of my flaws and my dreams. Are you taking a risk to live your dream? I said it on Twitter, but good luck to us both. there are 2 spots so I can hope we both win. That would be too cool. I don’t know how they’ll judge, because the entries I’ve read so far are awesome. Asrai, it would be too cool if we both won. I’m glad I don’t have to judge, though. As you said, there are lots of great entries. Good luck! Thanks, Coleen. I appreciate it. I’m rooting for you and Asrai, Lynette. Thanks, Pat. I appreciate it, and I’m sure Asrai does, too. Aw, thanks Reetta. I really appreciate it.